The Coleman Camp Oven fits over a single propane burner. Since we started camping, I've seen lots of kitchen setups. For me, our camp kitchen comes down to space, practical products and the meals we like to cook. Our camper came with a 2 burner propane stove. We also use the campground grill quite a bit. But what if we want to bake something in an oven? Having an oven at the campground opens new culinary options on the road. However, we don't need a large, bulky piece of equipment that we use minimally. The Coleman Camp Oven bakes. It folds flat for storage. And it works over your propane stove burner. Our of the box, you will receive an oven that 13 1/2 inches tall and 12.9 inches wide. It is also only 3.3 inches in depth. This is compact enough to store easily in your small camper. This could also be an addition to tent camping gear! It is lightweight and sturdy. Included is an adjustable rack for the interior of the oven. 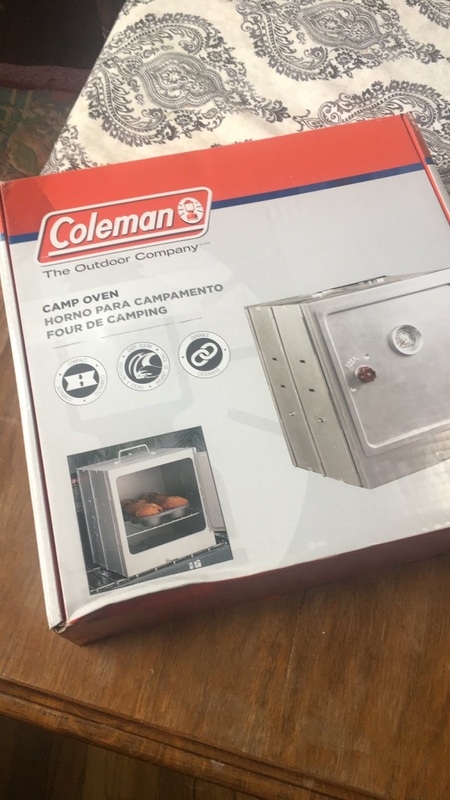 The Coleman Camp Oven is compact and light weight. The front of the oven has an easy to read temperature gauge. Expand the oven and lock the top and bottom pieces in place to provide a sturdy box. The oven fits directly over a propane stove for cooking. 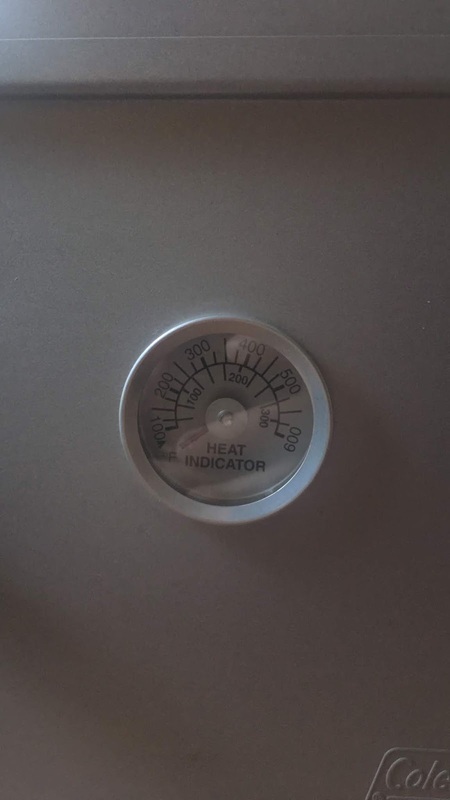 The temperature gauge on the Coleman Camp Oven seesms to read accurately and is easy to read. I tested our oven using a simple, single one burner stove. However, I would recommend using a stove that has a wind guard at a minimum. 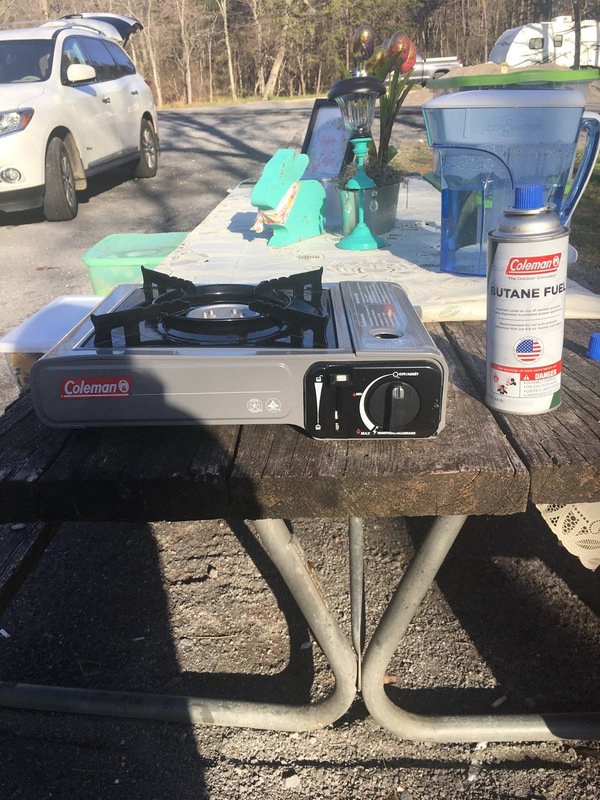 The Coleman Classic Propane Stove is a good entry level stove if you do not already have one. A wind guard will shield your stove from temperature drops in cold and windy weather and keep the heat at a more even level. A simple single burner will work for this oven, but I would use a wind guard with the set up to ensure even and steady heat. To preheat the oven, I started the stove and turned the burner all the way up to the hottest setting. Next, I placed the oven on top of the stove. The temperature gauge will show the interior heat level. After you have reached your desired temperature, you can adjust the heat with the stove's burner level. The door has a little red knob that turns to close the door and ensure that it remains closed during cooking. I would recommend keeping a pot holder handy for when you need to open the oven to check on your food. Also, the exterior of the oven does get hot. If you have small children, you will need to use this item with caution and warn everyone not to touch it. 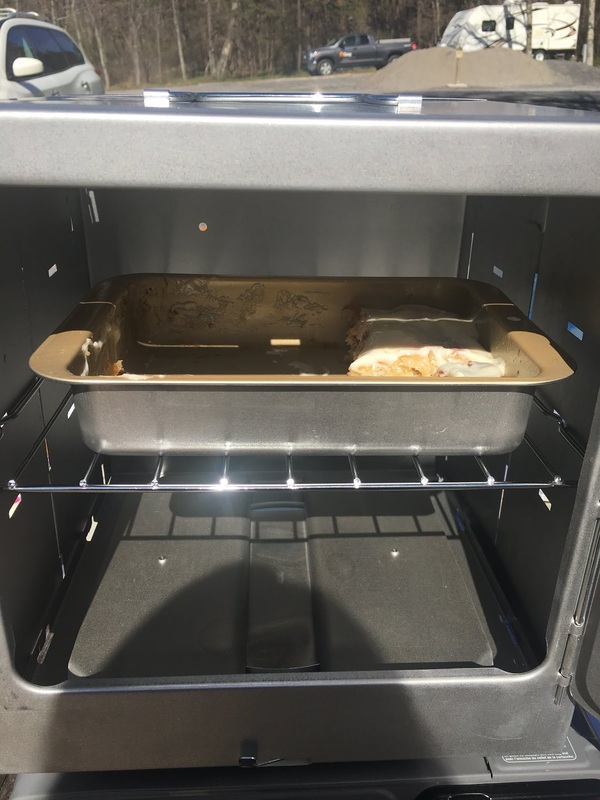 We used this oven on a windy and relatively cold Easter weekend, and the wind proved to be problematic in terms of keeping the heat at high enough level to cook quickly. Since I didn't have a wind guard on my stove, I really think this made a difference. This is why I recommend a stove with a wind guard. The Nordic Ware compact baking set fits perfectly inside of this compact oven. When baking in this little oven, you will need compact bakeware. I have the Nordic Ware Compact Ovenware Aluminized Steel 5 Piece Bakeware Set . This set is well made and fits perfectly into our Coleman oven. 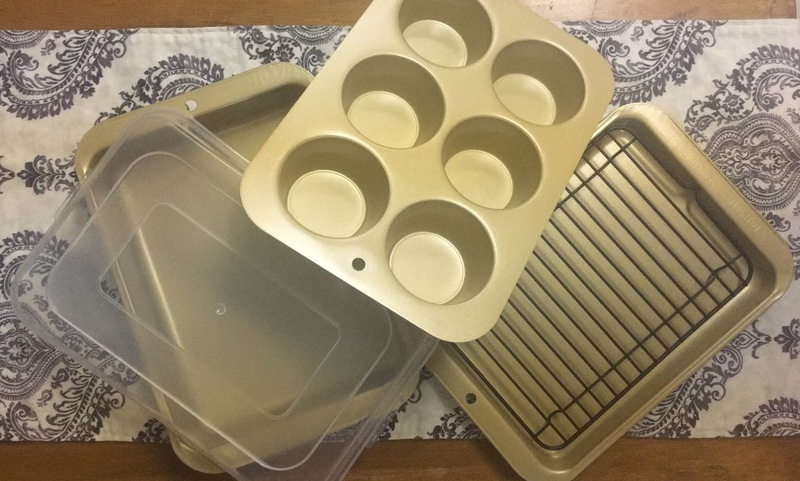 Plus, it is so easy to have a set of bakeware that is designated for our camper. The Nordic Ware Compact Baking Set is well made the perfect addition to our camping gear! 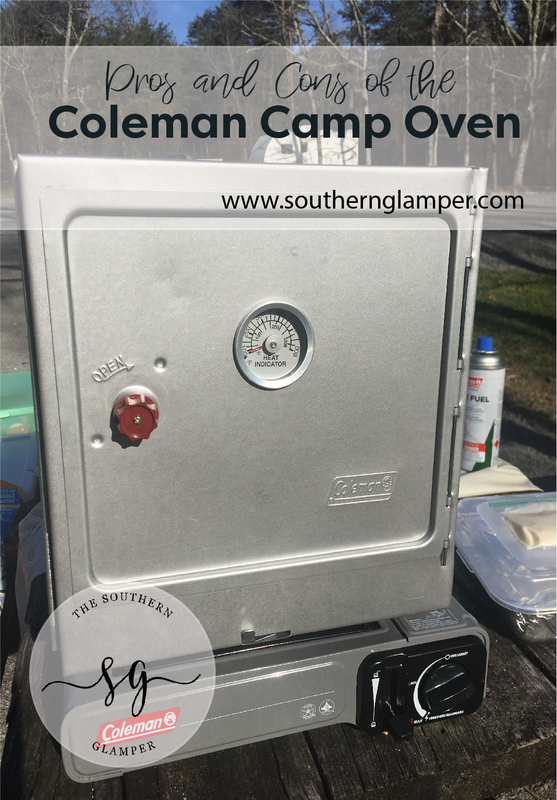 The Coleman Camp Oven is just right for making muffins, cinnamon rolls, pizza, a pan of brownies or other little treats at the campground. It works well for small families and basic needs. If you are cooking for a crowd or doing something beyond the basic, you might need something a bigger and more conventional. 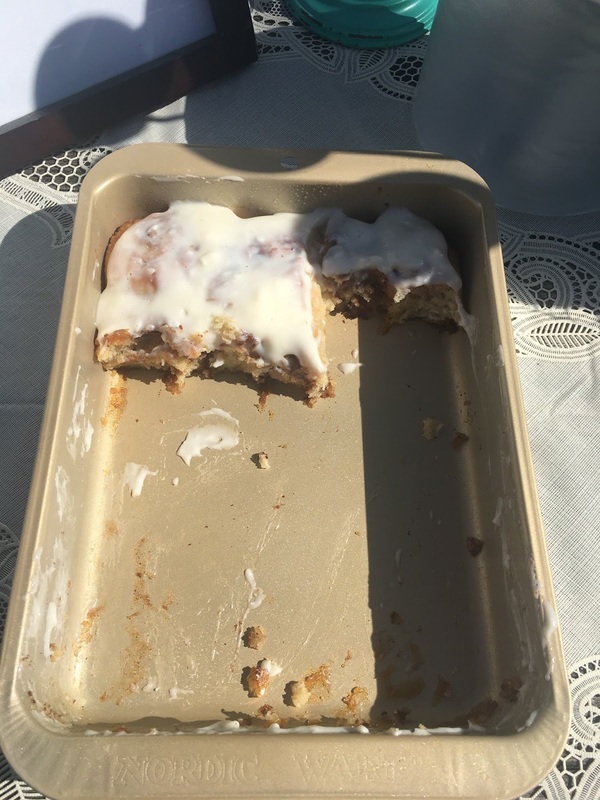 This pan of cinnamon rolls didn't last long! These were baked in our Coleman Camp Oven. This has been an excellent investment for our family. While I still love and plan to use our Dutch Oven for cooking, these are just two different beasts. The Coleman Camp Oven sets up quick and will do little jobs without coals and all of the heating and cooling time for the Dutch Oven. A Dutch Oven is much larger, heavier and also does a lot more cooking as well as baking. The key is finding what works for your family at the campground. Overall, this is a well made little oven that works well for basic camping needs. For the price, you can't beat it. Invest in a wind guard or a stove that has one to get the best results. A set of compact bakeware will also make a difference in your overall use. How do you cook at the campground? Every family, group or individual has a different way of doing things. Not every set up will work for every family. A well equipped and planned camping kitchen will make your experience better and more pleasant. 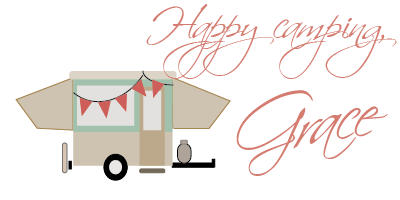 If you are looking for more camp kitchen ideas be sure to check out my Camp Kitchen Page. 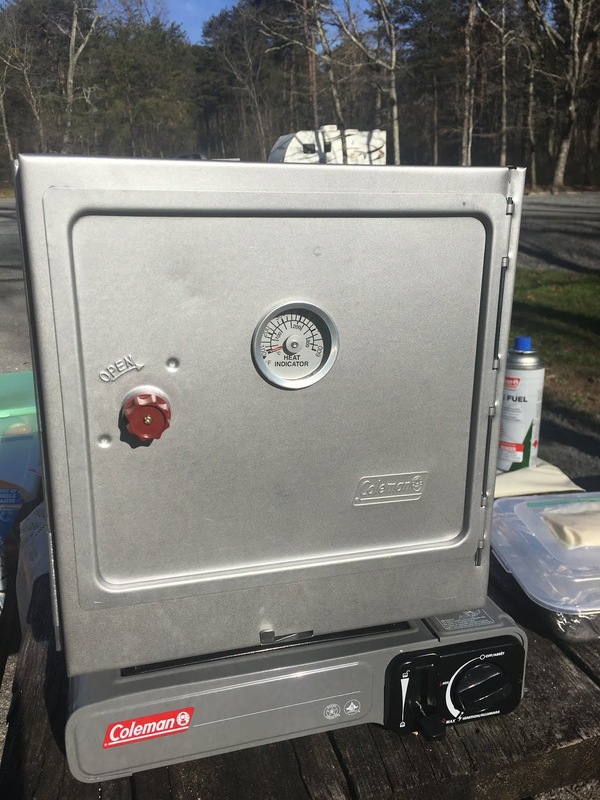 I have used this oven at my camp site a few times and I have really enjoyed. We love ours more and more. Over time we have used this more than our Dutch oven!